Minecraft Pocket Edition does not often have the opportunity to visit this Desert Cave and the village Seed. But to live in it? Perhaps, this has not happened yet! Well, always something happens for the first time. Desert Cave and the village Seed 1.2 will reveal to you a lot of new things. After spawn, you will find yourself in a completely flat area. After a few minutes you will realize that this is a real desert. And before that you have already visited such places many times. But the difference is that this is a deserted place at first glance, it contains a lot of amazing things. Many craftspeople, learning the secret, will be terribly shocked. Walking a little more, you will find an amazing cave. It seems so strange, gray and empty, that to go deeper somehow reluctantly. But still it’s worth it. 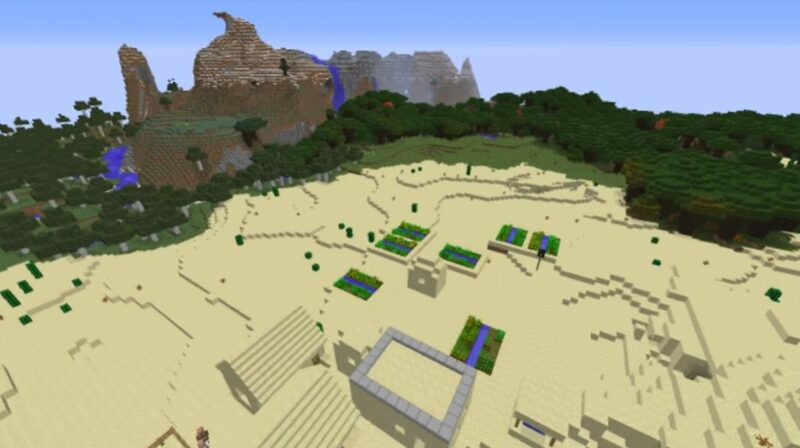 What will be interesting to add to the Desert Cave and the village Seed? An unusual place that nature itself has created, and in which one can live. To become much more fun and comfortable, we recommend that you use special modifications and arrange the world at will. Find a cave is not difficult, just see the mountain, and it has a small hole – this is the entrance to the cave, where you can live. Near the mountain you will find a beautiful picturesque pond – there is also a lot of interesting and informative. 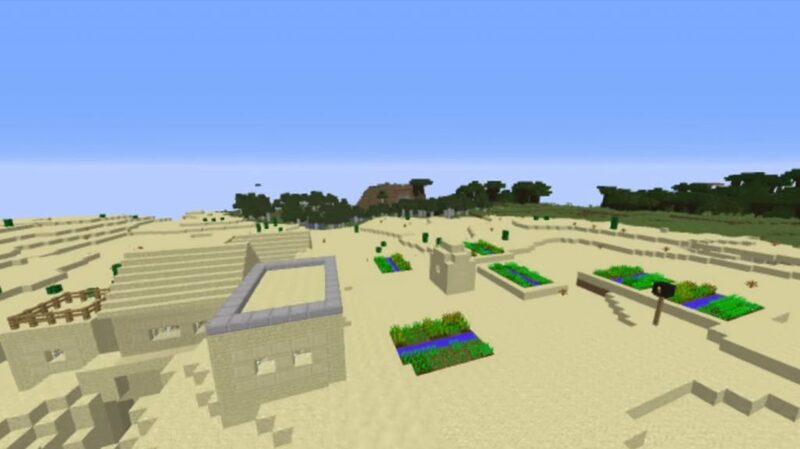 Desert Cave and the village Seed 1.2 will show you the world of the square reality a bit different, many things in this area will cause you really admiration and surprise. In addition to the cave, a real discovery for players will be a cozy village. It also has a lot of interesting things to see with your own eyes.